All photos by Sara of Confetti SunshineIt’s our last day of Party Hop fun! Did you see what we were up to on Tuesday, Wednesday, and yesterday? Well today it’s my turn to share my DIY with you, on my birthday no less. Hooray! I made the above napkins and have a free printable for you to make your own. But of course, I had to add some gold sequin trim to glam it up. 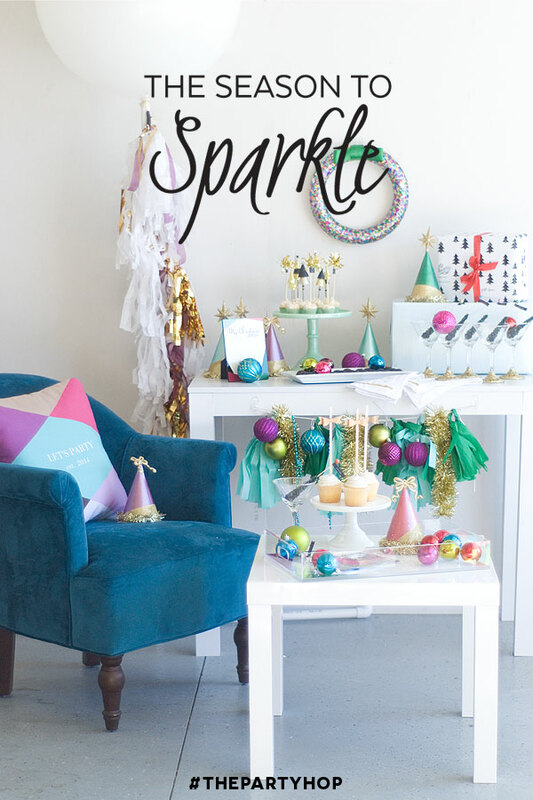 Nothing is complete without a little sparkle at this party! 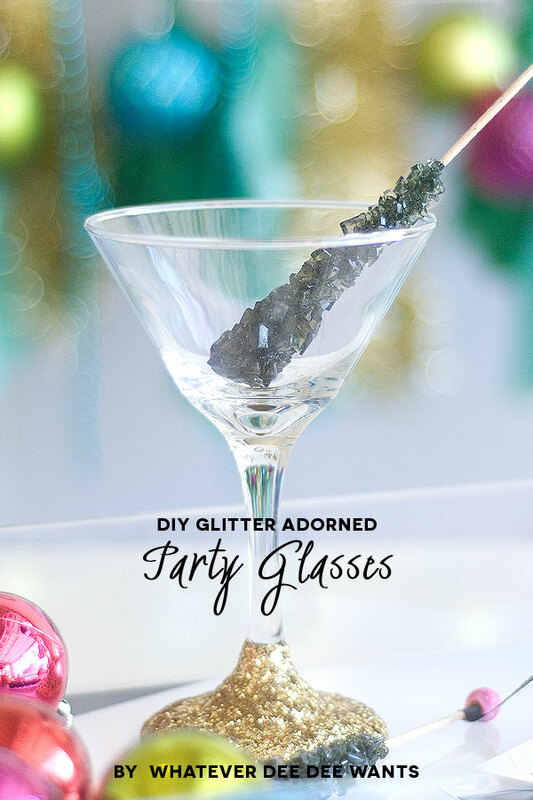 Diana of Whatever Dee Wants will show you how to glam up your drinking glasses with some glitter. Send your guests home with these adorable favours by Kirsten of Kojo Designs. 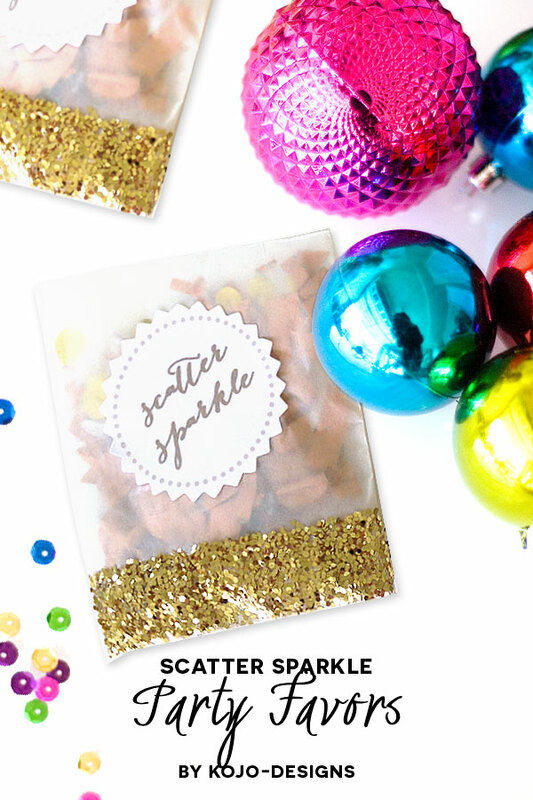 And now let’s nab that free printable and make some glitzy holiday napkins! 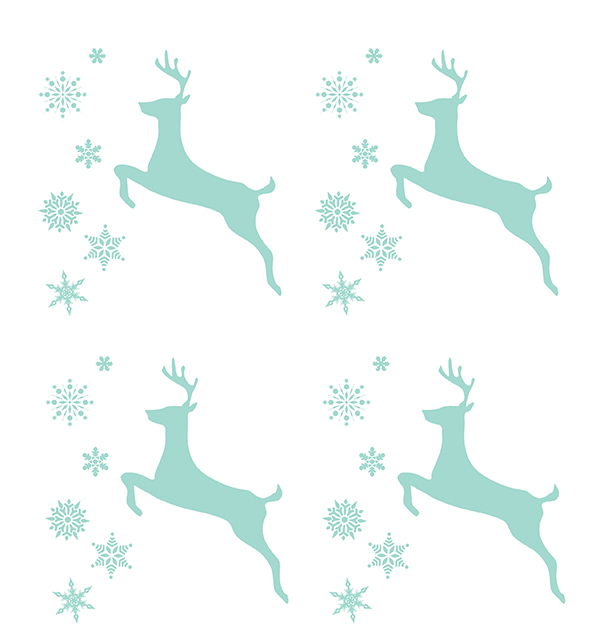 1 Print out the reindeer and cut out. 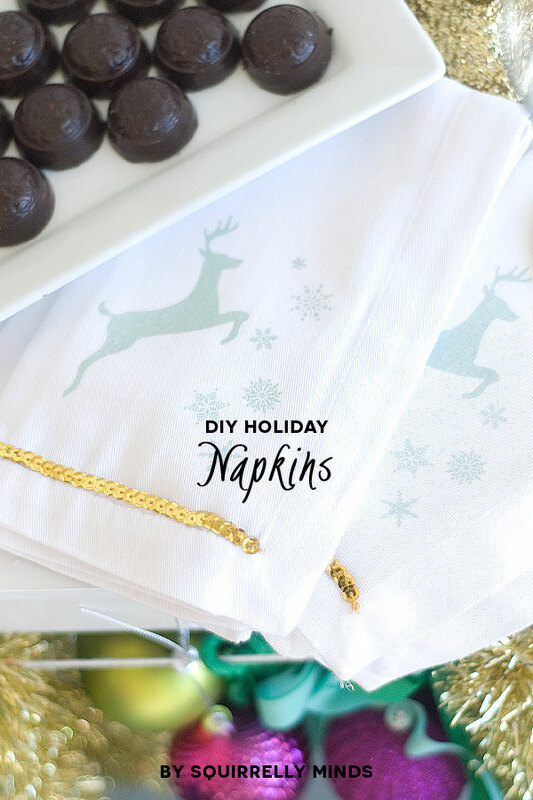 2 Follow your iron on transfer paper instructions to iron the reindeer onto your napkins. 3 Cut a piece of sequin trim the length of your napkin. 4 Approximately one inch at a time, run a line of hot glue fun along the bottom of your napkin – I chose to run it along a stitched seam. Place your sequin trim on top. Repeat until you reach the end of your napkin. *Note: Due to the iron on transfer and the sequin trim, these napkins are hand wash only. Well guys that brings us to the end of our Season to Sparkle Party Hop! I hope you enjoyed our flurry of DIY’s and recipes! May you have a very sparkly upcoming holiday season. Now I’m off to go devour some birthday cake. Awesome! 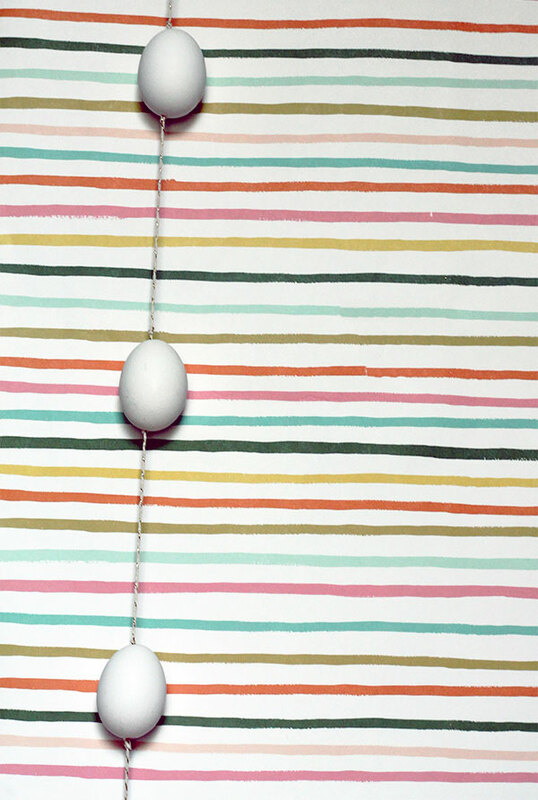 Such a great week of DIY ideas. I love the printable napkins 🙂 Thanks for sharing. SO cute! I love that minty blue color in holiday decor. I absolutely love your printable napkin. But the colour is not right for me. Is there a way to change the colour? Thanks for sharing.